This exerciser was made with ERGO-THERAPY in mind, which consists on precise continuous movements without vibrations that ACTIVATE's the mobility of your legs and IMPROVE's your blood circulation. 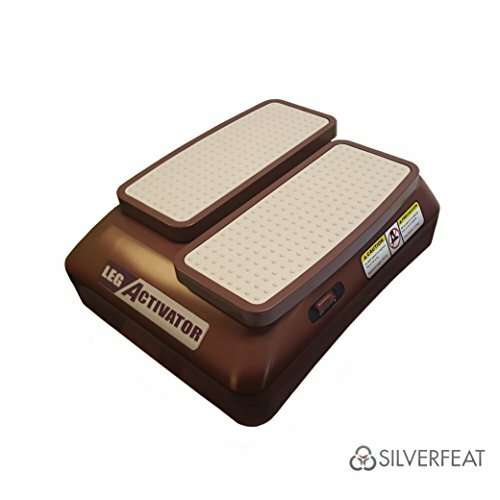 LegActivator will help you to prevent those terrible leg cramps or that annoying back pain we all suffer way too often, it will also help you decrease vascular problems and leg inflammation while helping you fight cellulitis and varicose veins as well. LegActivator can be used in any situation whether sitting at home watching TV or from your office desk because of its compact and convenient size so you can use it and store it wherever you want. This PHYSIOTHERAPY MACHINE is so easy to use that you can start by using it RIGHT AWAY. You just have to follow these SIMPLE steps, PLUG IT IN (anywhere 110w output) then PLACE YOUR FEET and SET YOUR SPEED. There you go, now you can get all the benefits of the passive gym wherever you go. WHAT ARE YOU WAITING FOR? IMPROVE YOUR LIFESTYLE TODAY! If you have any questions about this product by Silverfeat, contact us by completing and submitting the form below. If you are looking for a specif part number, please include it with your message.